Power Wrist Wraps are for the Heavy Hitters in the gym that Lift Heavy often and want the strongest support for their wrists. Whether you are going for a 3 rep max or chasing down a Personal Record these are the wraps you can guarantee will bring you to another level. They transfer the power you generate to the bar with no deviation and offer the highest support for your wrists so you can train hard and lift heavy every day. Our Original Wrist Wraps were made for a combination of conditioning and lifting. 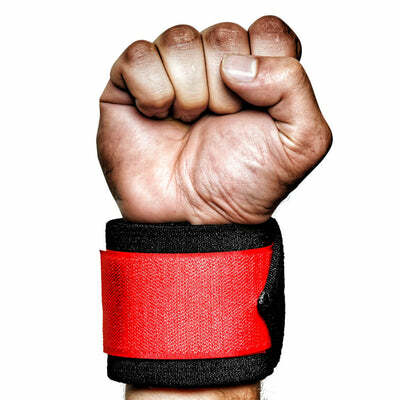 These are the only wrist wraps we produce that are made exclusively for Heavy Lifting. Power Wrist Wraps are the combined result of year long testing from our most competitive Weightlifting, Powerlifting and Strongman athletes. 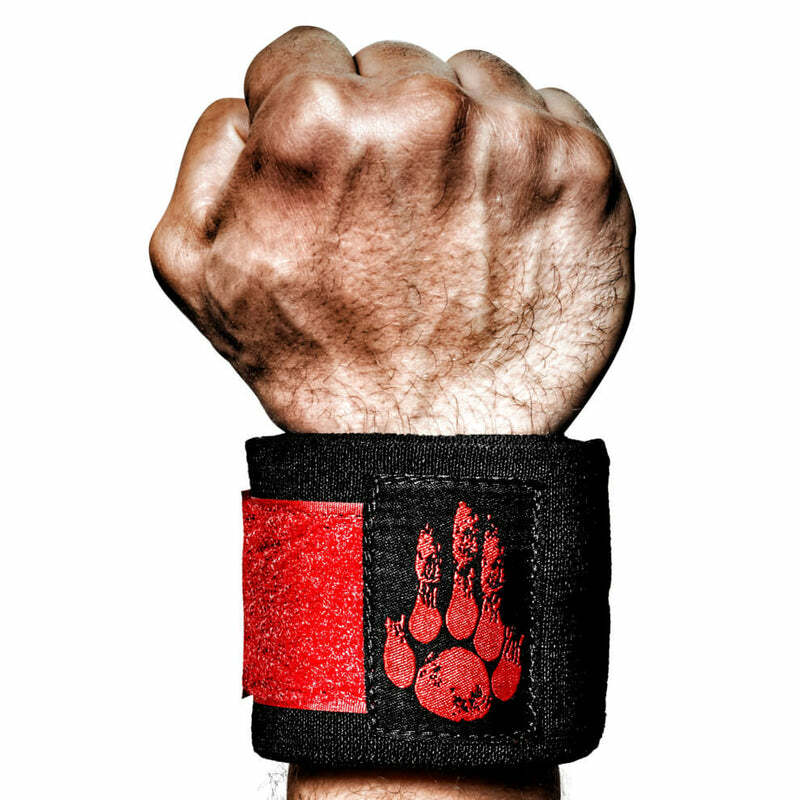 MANIMAL donates 20% of the proceeds from Power Wrist Wraps sales to Michael J Fox Foundation for Parkinson's Research. A charity organization that is dedicated to finding a cure to Parkinson's Disease, funds aggressive research and provides improved therapies for those living with Parkinson's today. Started shopping for wraps after injuring my left wrist doing 80lb hammer curls. Used these during recovery and the next time that I was able to get to the gym. I'm doing 100lb hammer curls with absolutely no problem! Wish I got these years ago! Thanks Manimal! Manimal wrist wraps are AWESOME!! I have increased the weight I am lifting in nearly every lift! Highly recommend!! Love the product, Great support and durability. And I really loved the shirt it came with. So far I am very satisfied with my new wrist wraps. They seem to be of high quality. Never disappointed in the wrist wraps, always used the other wrist wraps they offer in training but for competitions in powerlifting these are perfect. Great stiffness, comfort and support. I was having some ulnar nerve pain in wrist! The wraps have made the workout bearable! displaced my ulnar nerve five months ago, Manimal has kept me off the operating table and in the gym. In 2014 I was in a motorcycle wreck and broke my right wrist. I have had issues with it ever since. It's weaker and has limited mobility. I had worked out some before breaking it but never got very heavy. For the past year I have been working out steady and have had a lot of problems on bench days. My wrist could not support the weight and would tuck further under the bar than I wanted. This made anything over 205 very uncomfortable and sometimes painful to do. So I originally purchased a set of the thin blue line wraps and loved them. But I wanted something a little more solid so I decided to try these out. These wraps are wonderful! I benched 275 this week with no pain in my wrist what so ever. I use these wraps for heavier days now and their regular wraps for lighter days or lifts where I need a little more mobility. These straps are hands down the stiffest, most resilient, comfortable and supportive tool to add to your arsenal. I have tried them all. If these are the attributes you are seeking, shop no further. Best wrist wraps I've ever used and will continue to use. Very satisfied with this product. This is my first set of wrist wraps and I am really imprssed. Due to sports and jobs I have had I have alot of wear on my wrists and these wraps are providing me alot of support. Great wraps, maximum stability and as always a portion of the proceeds benefit a great cause. You can never go wrong. If you're a heavy lifter these wraps are great. You don't have to worry about any loose wrists. Great quality! They're stiff for heavy benching and the Velcro doesn't come undone. Perfect for casting and people who bench in shirts. Maintaining wrist stability and tightness is paramount for powerlifting. I think that in comparison to the normal Manimal wraps the support is much greater with these powerlifting wraps. I'm pretty sure you can set a broken bone or tow a trailer with one of these. These wraps are much stiffer than the standard manimal wraps which is great for pushing heavier weights and maintaining wrist stability. They're also very comfortable and the addition of a larger thumb loop adds to their outstanding quality. The stitching has performed great under the brutal conditions I have put them through. The powerlifting wraps look and feel the same as the day I removed them from the box. Overall, I am a big fan of the wraps and I would highly recommend them.